A year after a catastrophic earthquake hit Haiti, Jessie Kirk reflects on the global humanitarian aid response. The generosity shown by the general public and the ability to act as global citizens offers hope in a world that is more than ever plagued by natural disasters. It’s now one year since an earthquake measuring 7.3 on the Richter scale struck Haiti, killing over 200,000 people and leaving 1.3 million homeless. The emergency response posed a logistical nightmare for aid agencies, with tonnes of rubble blocking roads, contaminated water sources and, in recent months, an escalating outbreak of cholera. This week, much of the media are looking to criticize aid agencies for what many have seen to be a slow and ineffective response to the crisis. However, it is important for critics of the humanitarian response to remember that the magnitude of the disaster in a capital city caused multiple and new problems to relief efforts. Many government officials were killed; roads, airports and ports were largely blocked and inaccessible; and space had to be found within the already over-crowded city for camps. 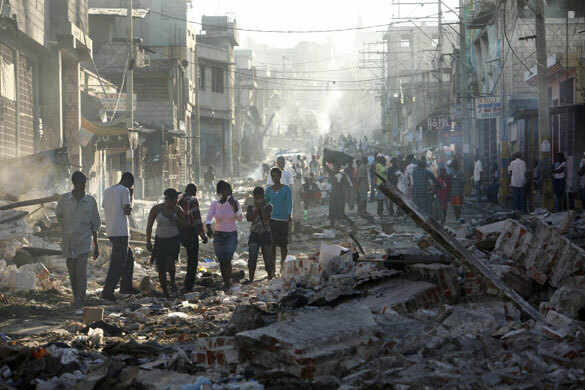 During the Overseas Development Institute forum, which analyzed the achievements and flaws of relief operations, speakers repeatedly coined the earthquake in Haiti as a “mega” or “super” disaster. 2010 proved to be a year of “mega disasters” when the earthquake in Haiti was followed by devastating flooding in Pakistan, affecting over 20 million people. With global warming taking hold, natural disasters are occurring more frequently, on a greater scale, and increasingly in urban settings. Aid agencies are, and will continue to be, increasingly overstretched. However, the sheer scale of the global response to Haiti from the general public was fantastic. Millions tuned into the news, posted messages on their facebook or twitter accounts, or made small but invaluable donations to those affected by the earthquake. 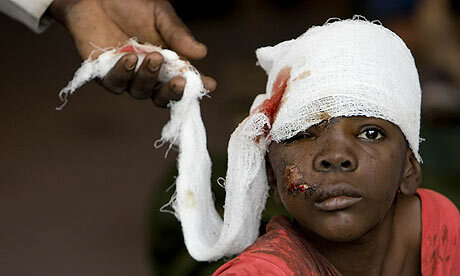 The disaster in Haiti forced many to “act” and recognize that we are all global citizens.